Hello fellow card makers. 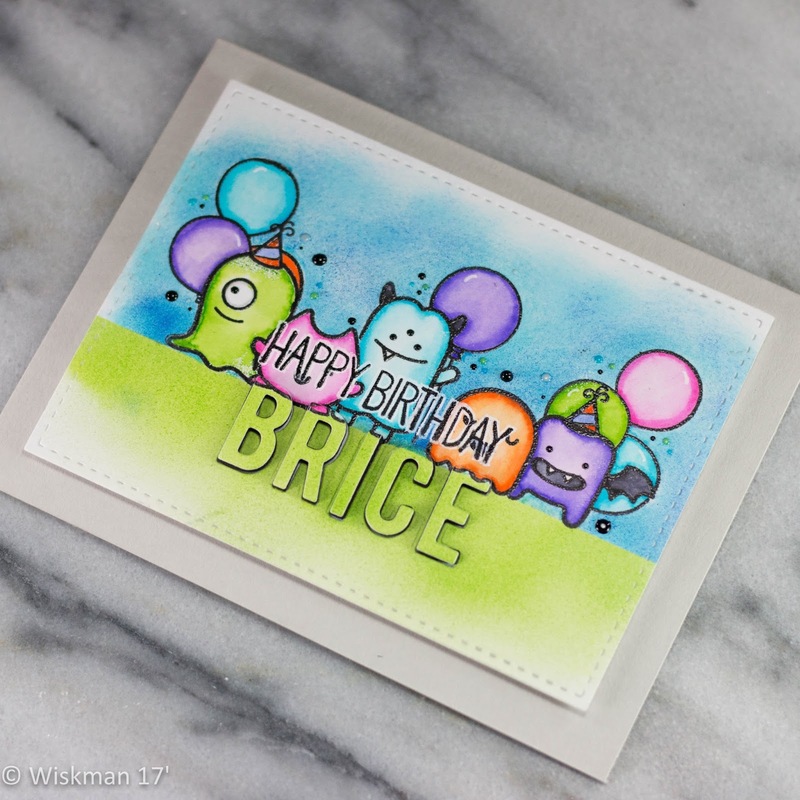 Today I am sharing with you a card I made for my Nephew, Brice. He is turning 8 this month. This is the card I created for him. I made this card using a camouflage technique with some Mama Elephant Inline Letters dies. 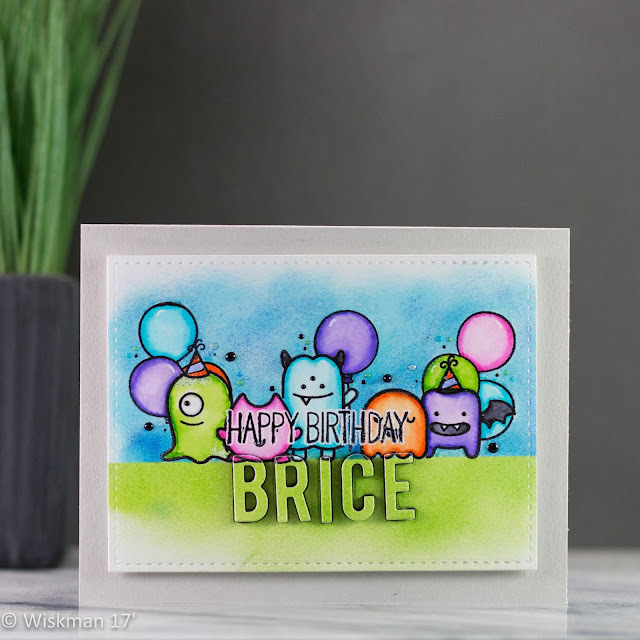 I also used Lawn Fawn's Monster Mash Stamp set along with a few stamps from MFT's Adorable Elephants and Beary Special Birthday. Some photos of my card, a list of supplies, and a link to my YouTube video are below. oh my gosh so cute Koren! Love how you personalized it!